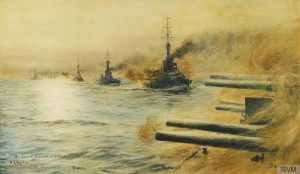 The largest naval battle of the First World War was fought in the North Sea near Jutland, Denmark, between 31 May and 1 June 1916. Over 100,000 sailors were aboard 250 warships and it was the only full-scale encounter between steel battleships during the War. This naval battle was unlike any naval battle before or since. These were the largest battleships that had ever engaged in combat. Shells flew at enormous speeds and could penetrate a ship’s 11 inch steel armour. 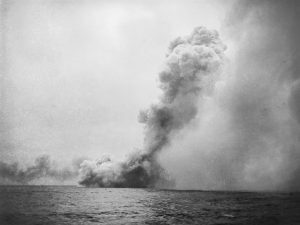 Sailors experienced terrifying conditions as explosions caused the scattering of red hot metal splinters, fire, choking fumes and deafening noise. 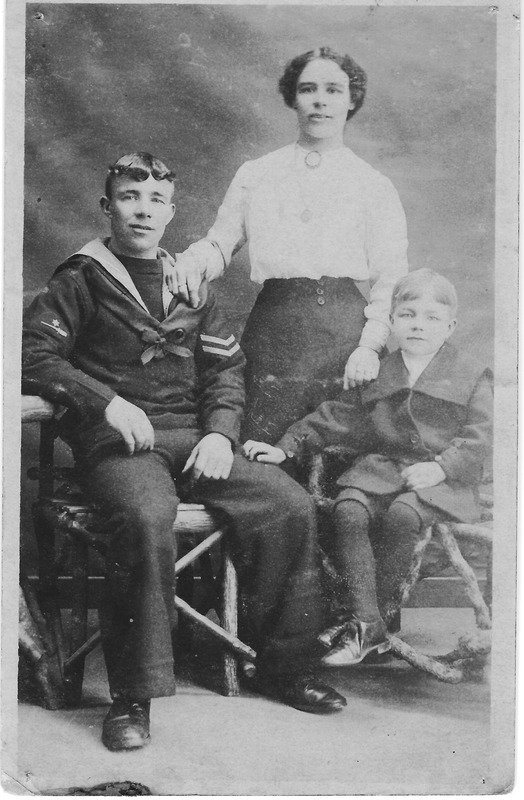 The battle lasted for just 36 hours and in that time 25 ships were sunk and over 8,000 men had perished. 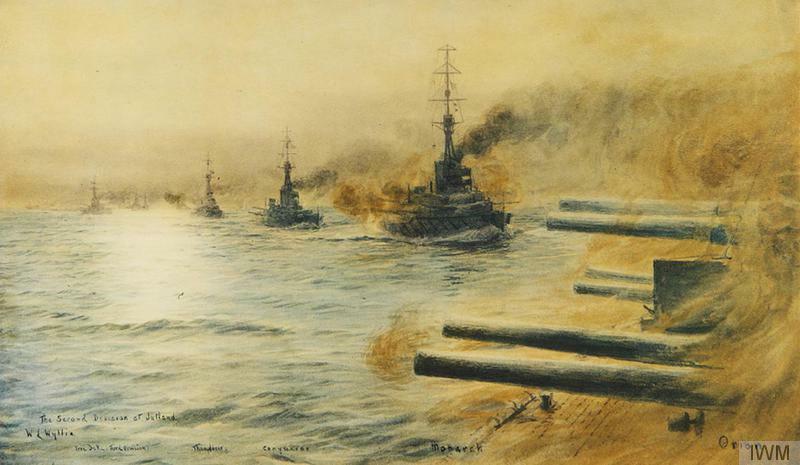 The British Grand Fleet suffered losses of 6,094 compared to 2,551 Germans killed. Loss of HMS Queen Mary, Jutland, 31 May 1916. © Crown Copyright IWM. 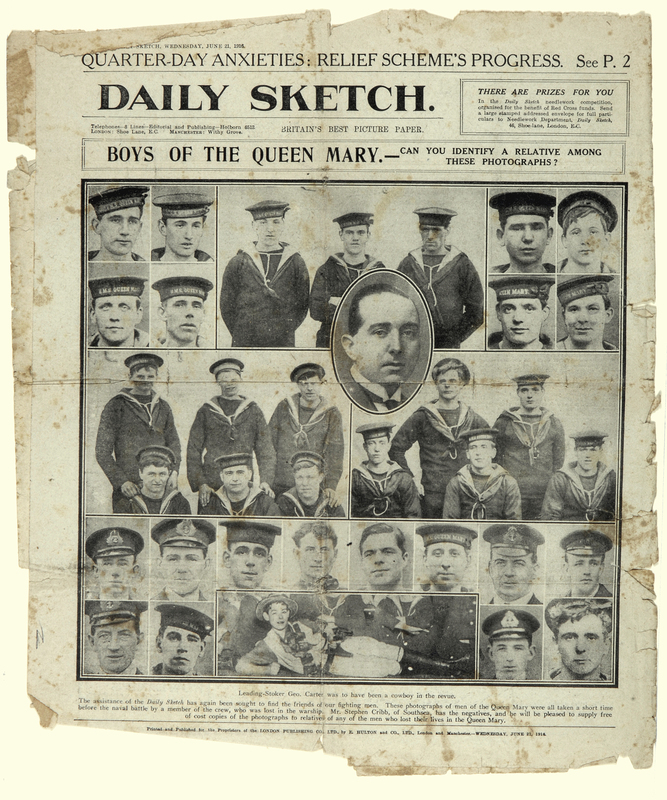 Front page of the Daily Sketch, 21 June 1916. By kind permission of the National Museum of the Royal Navy. 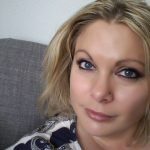 Two women in Commercial-road were seen to fall in a faint upon reading the news of the losses sustained, and through-out the night the sorrow and anxiety in innumerable homes were tragic. Naval men assembled in little knots in the principal thoroughfares, discussing the news available and the possibilities of what actually happened. After the gloomy initial reports news started to filter in that the Battle was a win for Britain. Experts calculated that, although Britain had lost more ships and men, the German High Seas Fleet had been irreparably damaged. 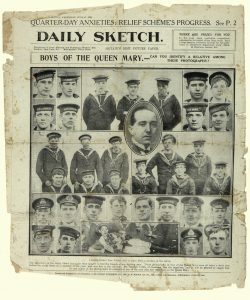 Local newspapers began profiling the ‘heroes of Jutland’ who had local connections. These profiles, which fused local pride with the national cause, recast the Jutland Battle into a heroic victory. Significantly, as much space was devoted to missing stokers as there was to officers, which conveyed the message that all social classes in local communities had been affected by the Battle. Memorial scroll for Able Seaman Thomas Slade. By kind permission of the National Museum of the Royal Navy. 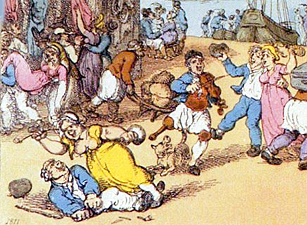 This battle had a significant impact on families in urban and rural communities in Britain. However, towns with seafaring populations were disproportionately hit. 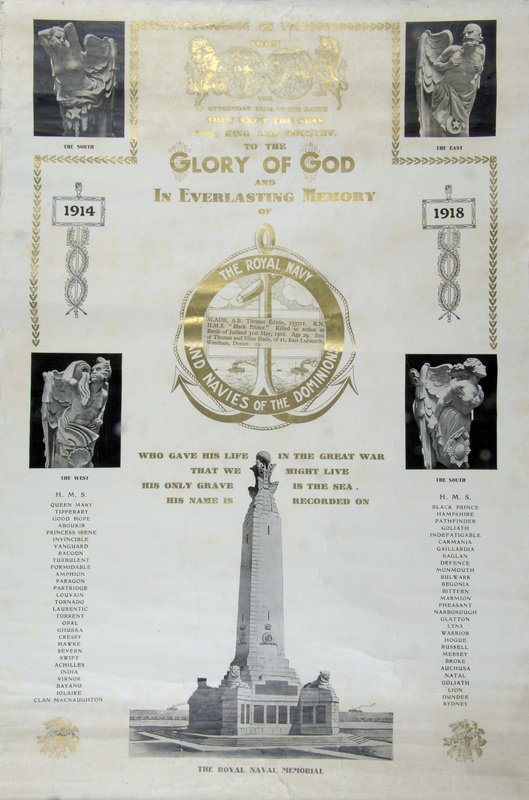 In 1924 the Imperial War Graves Commission erected monuments in the home ports of Plymouth, Chatham and Portsmouth as a tribute to sailors who had lost their lives at sea and had no known grave. 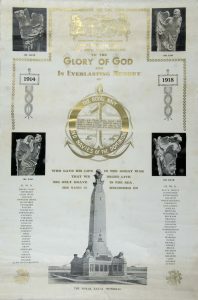 Portsmouth’s memorial included the names of nearly 10,000 sailors. 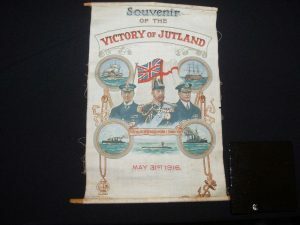 Over half of those killed at Jutland are named there. 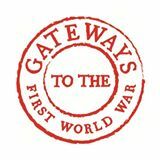 Research and text created by Professor Brad Beaven and Dr Melanie Bassett for an AHRC Gateways to the First World War funded-project.